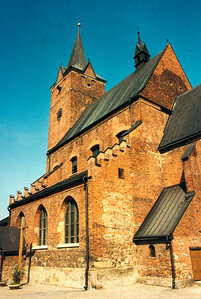 PILZNO - The Catholic Church, seen from the southeast side. 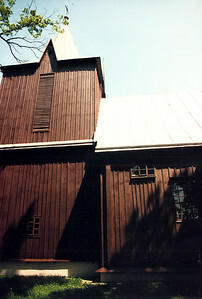 A priest was once asked why Polish churches look so plain on the outside. His reply was, "We didn't want any one to know that kinds of riches we had inside the church." Polish churches generally have one rule, the plainer they look on the outside, the more ornate they are inside. This church is no exception. 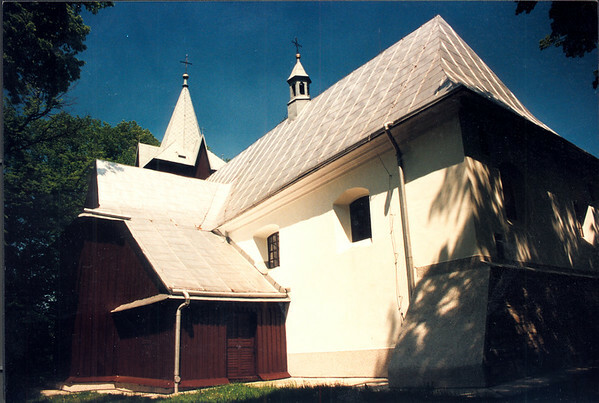 DEBICA - The second of the two oldest Catholic Churches in the town. There was Sunday mass under way at this time, many people had to stand outside as the church was totally full. The service was being broadcast on loud-speakers mounted to trees outside. Perhaps this is why they are building a new, large church. DEBICA - A wide view of the Catholic Church seen from the southeast side. 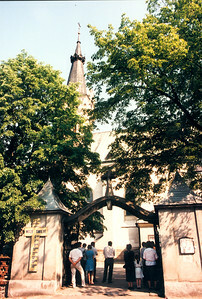 DEBICA - Rear of the Catholic Church. 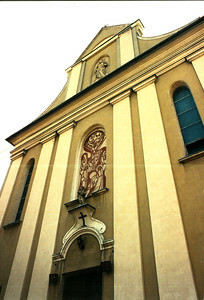 DEBICA - Front of the Catholic Church, north side. 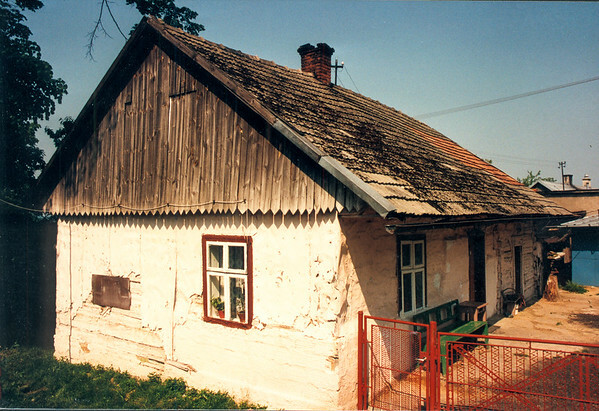 There are two old Catholic Churches in Debica, plus one new one and one that is nearly completed, only about two hundred and fifty yards from this church, which is close to the market square (Rynek) near the western part of downtown. 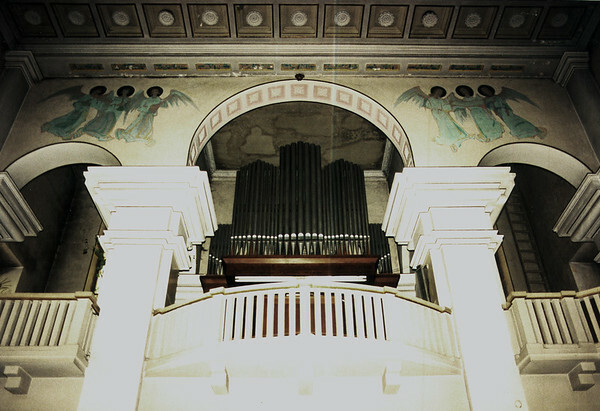 DEBICA - Rear balcony and organ in the Catholic Church. DEBICA - Wide view of the front of the Catholic Church, from about midway up the main aisle. 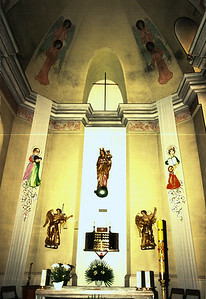 Baptismal is on the lower right. The bird is suspended from above. 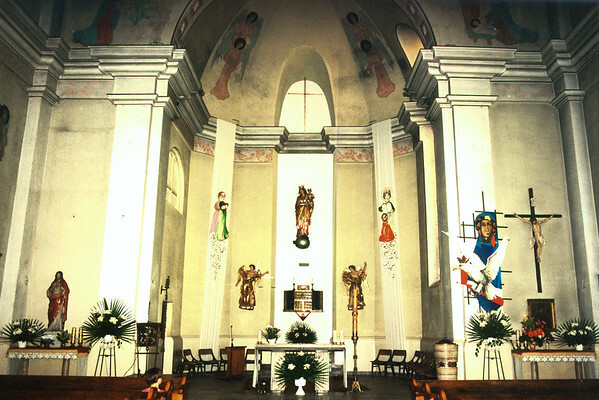 DEBICA - Front altar area of the Catholic Church. DEBICA - A close view of the belltower and clock of the Catholic Church. 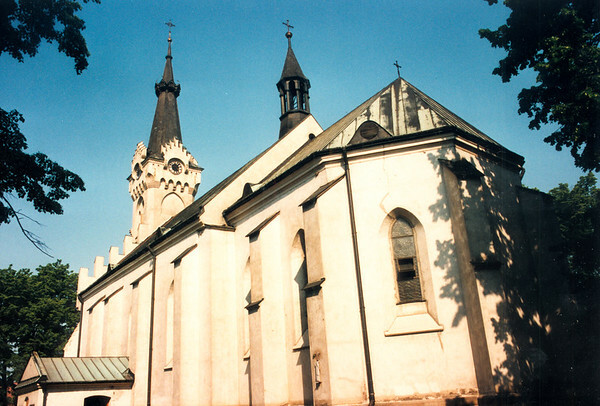 DOBRKOW - The Catholic Church. 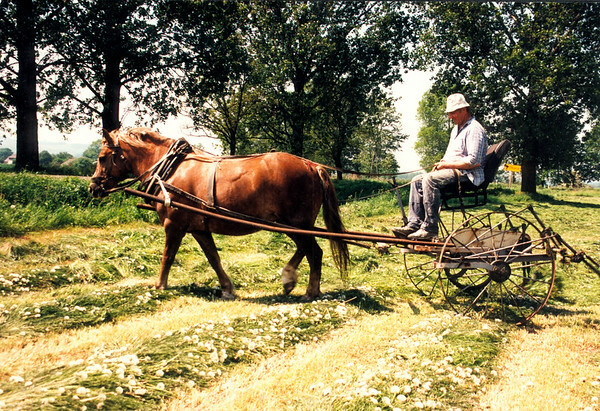 DOBRKOW - A farmer uses a device that has little "fingers" on the back of his wagon that agitate the freshly-cut hay, to aid in drying. 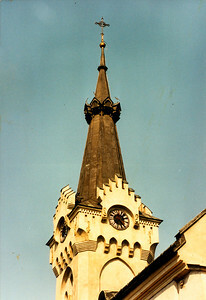 DOBRKOW - View of the steeple and the east side of the Catholic Church. 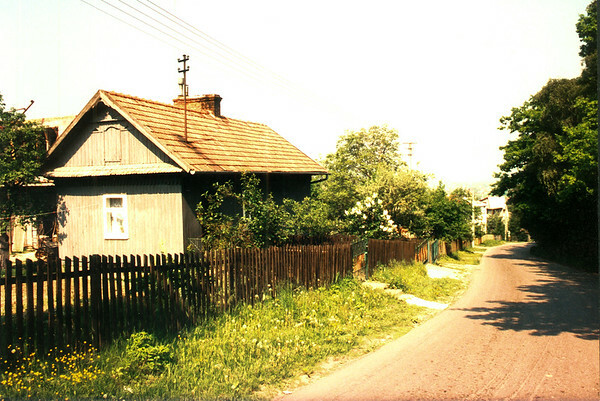 GAWRZYLOWA - "Downtown" of the village, close to the main highway #4. East side of the village. 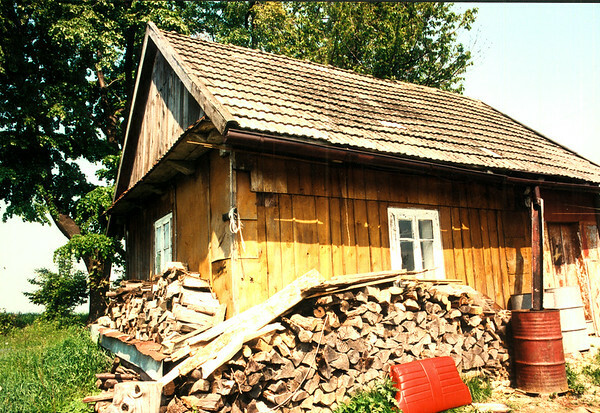 GAWRZYLOWA - An old log cabin home on Ulica Tetmajera, down the street from photo #29. GAWRZYLOWA - Looking over a small farm and a view towards the hills to the west of town. 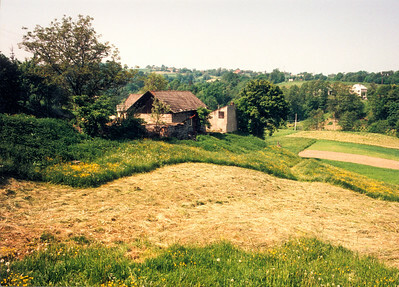 The white house at right is not part of the village. 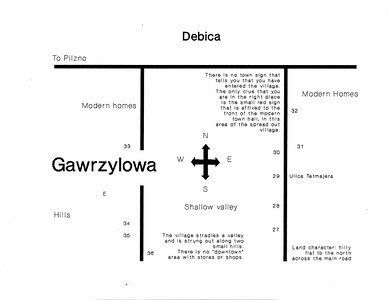 GAWRZYLOWA - The village straddles a shallow valley and sits on two opposing hillsides. 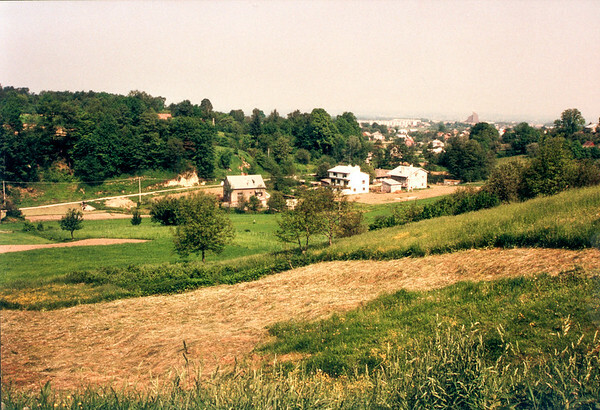 This view looks from the eastern hill over the the western hill, with Debica seen in the distance. The large brick structure on the horizon is the new Catholic Church being built on the west side of Debica. 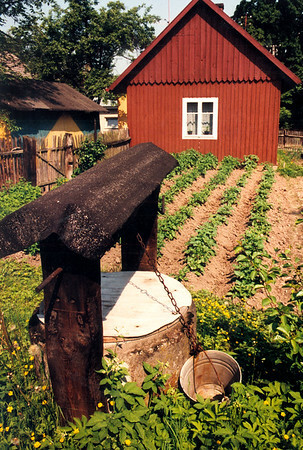 GAWRZYLOWA - A fresh-water well, small private garden and part of a farm on the east side of the village. 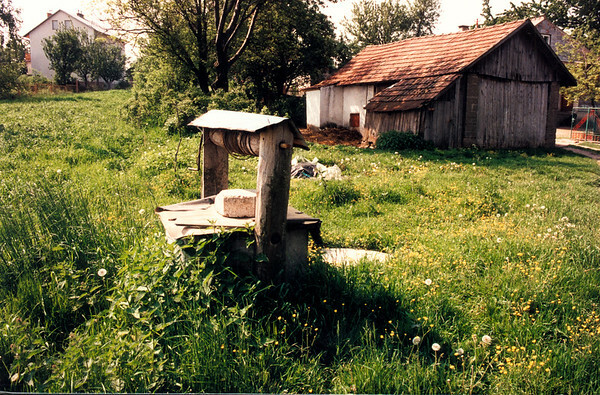 GAWRZYLOWA - A farm near the top of the steep hill that forms the western side of the village. 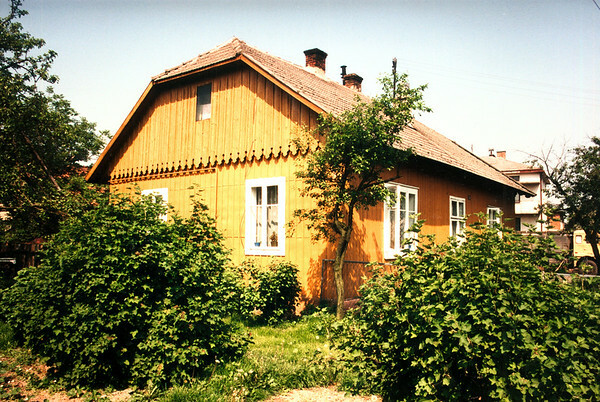 GAWRZYLOWA - On the western hill now, a house from the late 1800s. 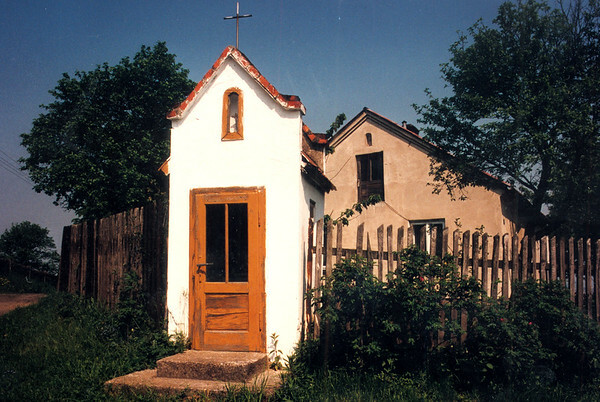 GAWRZYLOWA - A small locked shrine near the top of the hill on the western hillside of the village. 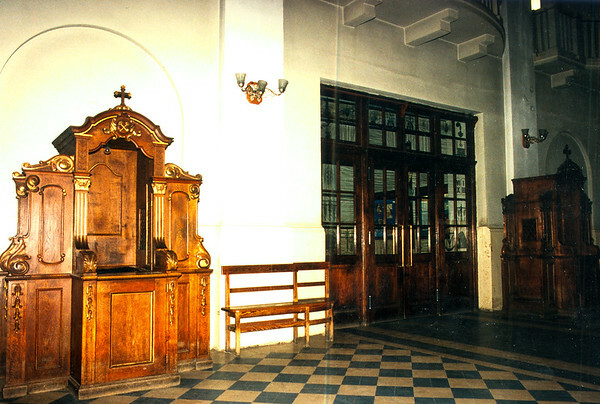 Inside is a tiny little altar with a statue of the Virgin Mary. 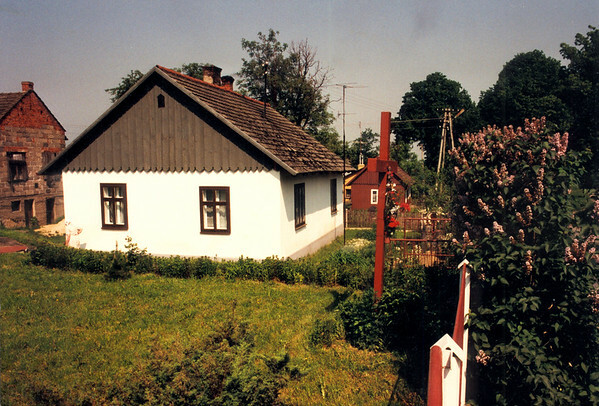 GAWRZYLOWA - On Ulica Tetmajera, a house with a small cross in its front yard, similar use as the one seen in Pilznionek. 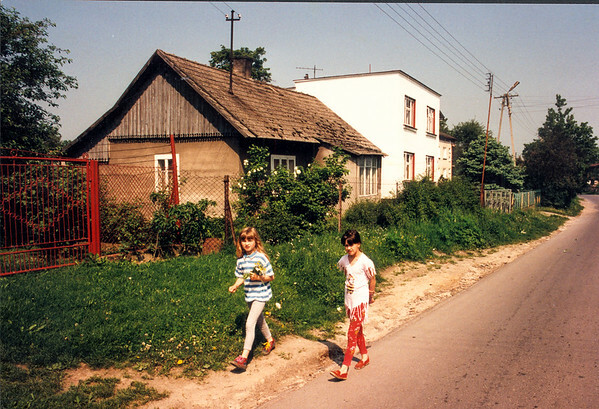 This is fairly close to the main road that runs east and west connecting Pilzno with Debica. GAWRZYLOWA - Looking down one of the few named streets in the town, just north of the vantage point for photo #27 - on Ulica Tetmajera.